Not only was this a great collaborative effort, it was an amazing combination of flavors and textures as well! 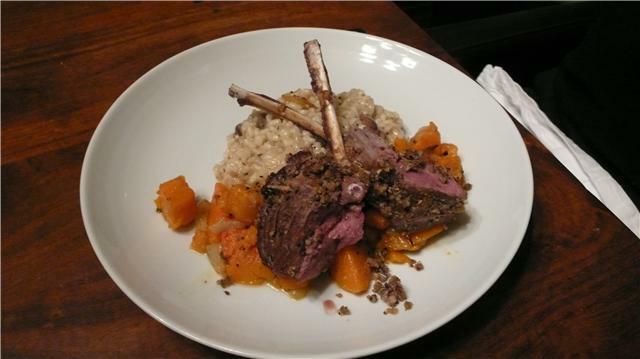 I made the lamb, Kristin made the butternut squash and Bob made the risotto. This menu is delicious and comes together pretty quick when you have a couple of friends doing some of the prep and cooking. You are currently browsing the brunosdream weblog archives for the month March, 2010.